Today’s nomadic workforce changes jobs frequently. Onboarding new employees quickly and keeping them engaged is critical. Workers that aren’t adequately integrated are less likely to produce and more likely to leave. Yet, even as the need for retention methods grows, so do the challenges: today’s jobs are sophisticated and today’s employees, impatient. A new arsenal of techniques is needed. The twenty-first century workplace calls for twenty-first century tactics. More and more, workers expect immediate results and can be discouraged when they don’t feel like they’re getting them. Gamification—the practice of borrowing motivational techniques from games and applying them to the enterprise—appears to be an ideal solution; people stay engaged longer when they’re making measurable progress and game mechanics can provide that sense of structured accomplishment. But make no mistake, Gamification isn’t simple. Often the difference between a motivational program and condescending one can ride a fine line. 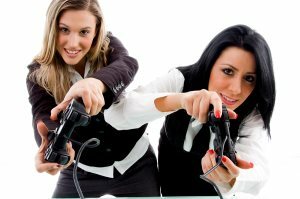 The following five rules outline what, and what not, to do when including Gamification in the HR process. The most basic lesson that can be taken from games is to break larger tasks into smaller tasks. This provides a more frequent sense of accomplishment and completion to help employees get through long objectives. There’s nothing more discouraging than toiling away on a project for a month with no clear sense of whether any progress is being made. Incremental progress is particularly important in the case of onboarding—learning new skills and company processes won’t pay off results until the employee is actually using those skills, long after the education process ends. Any opportunity to integrate a sense of accomplishment into the learning process will help maintain interest. While incremental progress is important, it’s not the end of the story. Too many dabblers in Gamification stop here and expect to see results. The truth is, you can’t simply award badges for everything your employees do and expect them to be motivated. To create the full picture of employee growth and accomplishment, you’ll need to follow all of the rules in this list. For example, after finishing a certification program, an employee could be identified as having learned a unique skill. If this identification comes with public recognition (and the possibility of increased opportunities within the organization), it’s going to be much more meaningful. Public recognition doesn’t have to take place in a special meeting; it doesn’t require an email. In fact, it’s best if it’s limited to the relevant context. For example, if an employee has a talent for winning difficult accounts, the employee should know that status is visible to managers assigning new accounts and executives considering which employees to bring to a special executive dinner event. Conversely, be careful not to assign too much recognition to irrelevant accomplishments. World War II pilots didn’t mark successful refueling on the sides of their planes, because refueling wasn’t a mark of skill or accomplishment. Irrelevant metrics only get in the way of important metrics. If there’s one thing to remember here, it’s this: Badges should be reputational units that allow employees to express who they are through what they do. The key is to identify the things your employees take pride in and recognize them (with badges, certificates, etc) in visible, persistent and relevant locations. Want to discover other do’s and don’ts of implementing gamification into the HR process? Stay tuned for part 2 of this article!